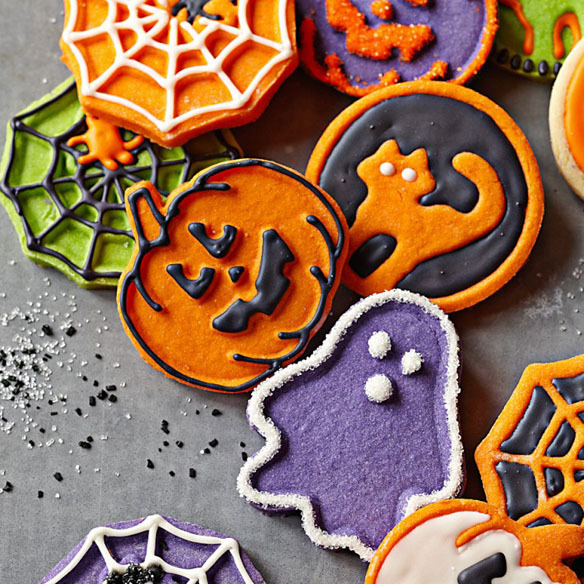 No Halloween is complete without baking a batch of Halloween sugar cookies, icing them, and eating them. 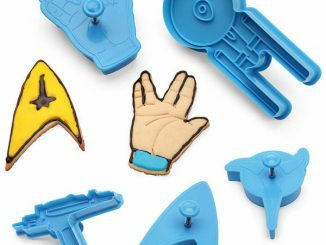 Since you know this haunting occasion will creep up every year, you won’t regret investing in a quality set of Halloween Cookie Cutters and having them around when you need them most. 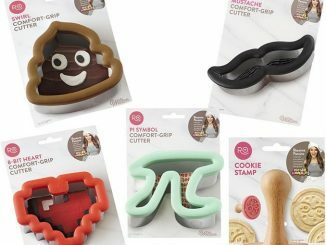 Williams-Sonoma cookie cutters are unique because they feature a spring-loaded push button that you press to make a detailed imprint. This is perfect when you’re working with varying widths of dough. You have control over how deep an imprint you want to make. 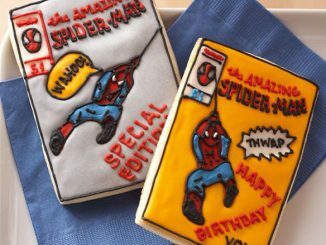 Once the cookies are baked, they look good enough to present with or without icing. 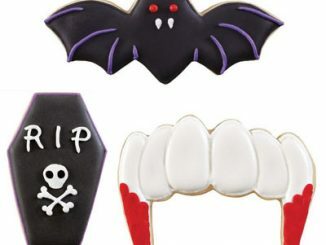 You don’t need magic to create bewitching Halloween treats – try these clever cookie cutters instead. 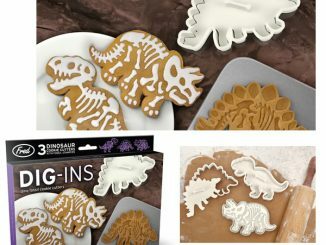 Specially designed cutters imprint dough with spooky patterns to be enhanced with icing once the cookies are baked. Set of four spooky cutters: spider web, jack-o’-lantern, ghost and Halloween cat. 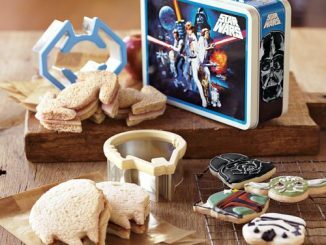 Use the edges to shape your cookie, then gently press the spring-loaded stamp into the dough to create imprinted detailing. 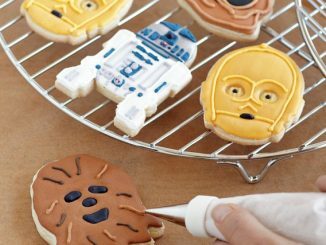 Once cookies are baked and cooled, just spread icing in the hollows for a frightfully fabulous decoration. 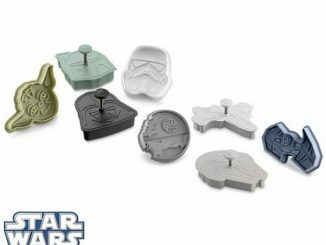 It’s no wonder that the Star Wars Droids and Aliens Cookie Cutters, among other Star Wars cookie cutter sets from Williams-Sonoma, are made with the same imprinting mechanism. 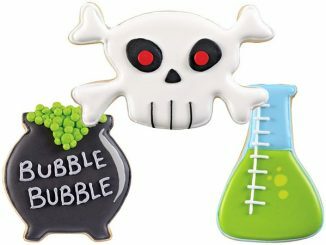 As for the Halloween cutter set, you will enjoy the ease of decorating the cookies by choosing to fill the impression with icing. Alternatively, you can pipe the icing along the raised pattern. Sprinkles will also fall easily into the deeper parts of the print and the raised image will become more vivid and visible. 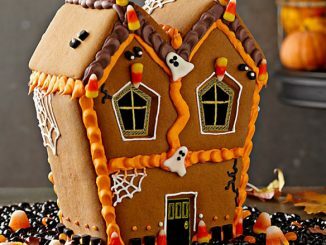 Have fun making ghosts, spider webs, hunched-back cats (against a full moon, if you please) and jack-o-lantern cookies. 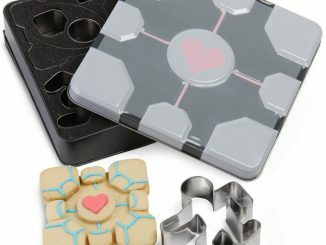 They will all be approximately similar in size, which also helps for even baking. 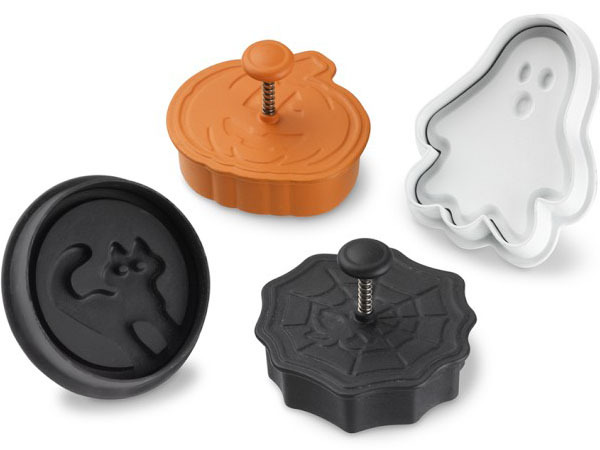 Get the set of four Halloween Cookie Cutters for $19.95, new at Williams-Sonoma. 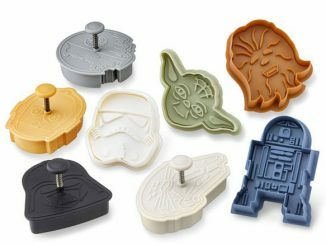 You can also find a set of 5 Williams-Sonoma Halloween cookie cutters for $14.99 at Amazon.com that includes a ghost, witch’s hat, jack-o’-lantern, haunted house, and bat.